At the end of June, after a one-year development phase, the new horizontal continuous casting line was commissioned at the LKR Leichtmetallkompetenzzentrum Ranshofen. The tailor-made plant technology was developed by scientists of the LKR together with partner companies as part of the project „BAWeRIA“ (Bavarian-Austrian advanced Welding Wire Research and Innovation Action). 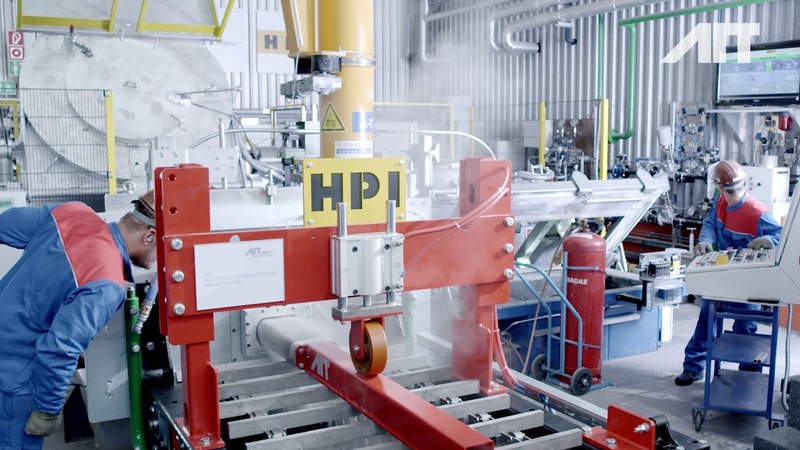 The new HSG makes it possible to produce semi-finished products from special alloys on a semi-industrial scale, including those for the production of welding wire, with a short delivery time and at low costs. The current research focus is on further developing the process technology in order to produce customer-specific formats in top quality suitable for direct further processing without intermediate steps – from semi-finished product to finished product. The objective is e.g. to be able to integrate and dynamically operate all core processes from the melt to the finished, drawn wire. In addition to the modern in-house vertical continuous casting technology for magnesium and aluminum alloys, the horizontal continuous casting line rounds off the experimental portfolio of the LKR.